​Dawn Farms partner with Naas Community Men’s Shed to celebrate the birds and the bees and enhance local biodiversity. 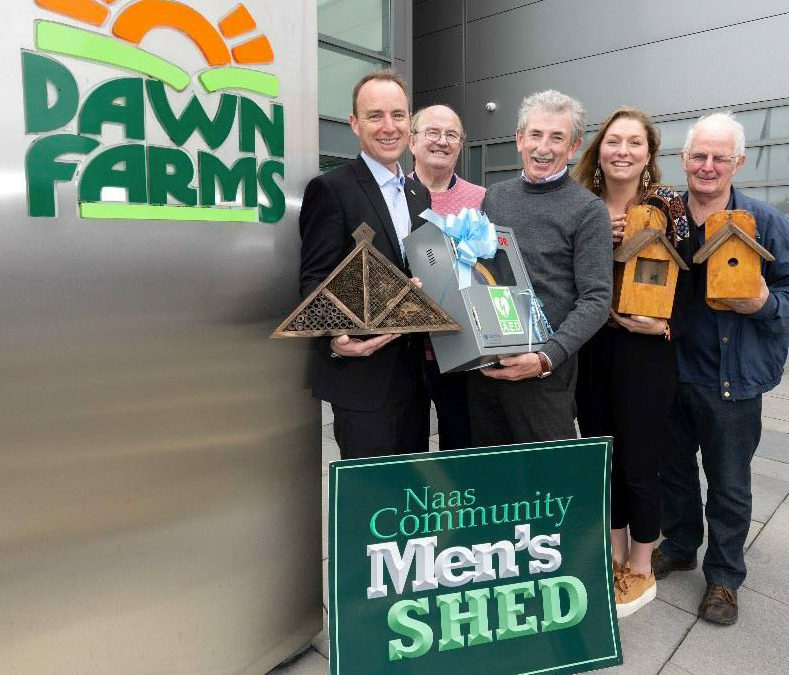 Europe’s leading cooked and fermented meat ingredients company, Naas-based Dawn Farms, have teamed up with the local Men’s Shed to build bird homes and bee hotels as part of a biodiversity initiative at their food campus in Naas. The primary objective of the Men’s Shed movement is to advance the health and wellbeing of participating members by creating a safe, friendly and inclusive environment where men from the local community can gather and undertake community projects. REMINDER: All Dawn Farms employees are invited to request a bee hotel or bird house by emailing Barry Gallagher at bgallagher@dawnfarms.ie.